Paypal is the world’s most famous e-currency and payment processor. Paypal gives safer and easier way to send and receive online payment via the Internet without giving out the bank details of a person to the others. Nowadays, Paypal is the most popular Payment method used on eBay auction. It is also the cheapest way to accept credit card for your online business, send money to 190 countries and regions around the world. 1. 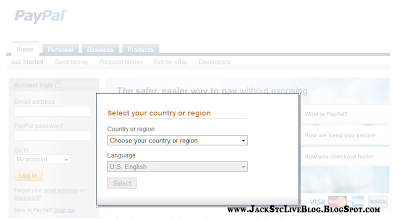 First, go to Paypal.com, select your “country or region” and “language type”. 2. Click “Sign Up” on the Paypal page to start creating your own Paypal account. 3. Choose your Account Type (“Suggest to choose PREMIER ACCOUNT”). Make sure to select a right country, then click on the “Get Started” button. 4. Fill up the FORM (Please fill in honestly). Add your Credit Card or Debit Card information in the form. If you don’t have it, untick the “Link my credit card so I can start shopping right away”, click on the”I agree, create my account” button. 5. 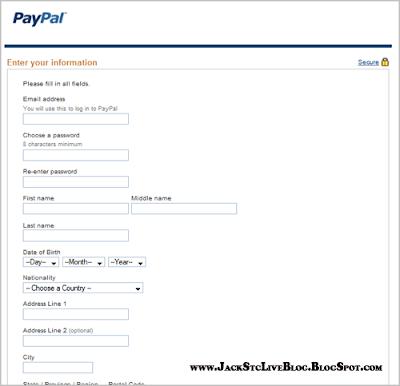 You will be directed to a page tells you that you have successfully created Paypal account. 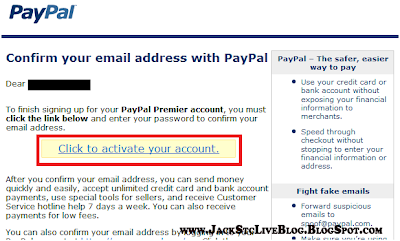 Paypal will send a confirmation email to activate your Paypal account. 6. Check your email and click “activate your account”. Confirm to reenter your registered password previously and answer the security questions (in case you forget your account information next time). 7. Done. Skip the credit card step by clicking on “back to account”. Now you have a Paypal account Status: Unverified. Continue to get verified if you have a credit card or debit card. 8. If you want to verify your account status, you need a Credit Card or Debit Card. Log in your account and click on word “Status: Unverified” as shown under My Account -> Overview. 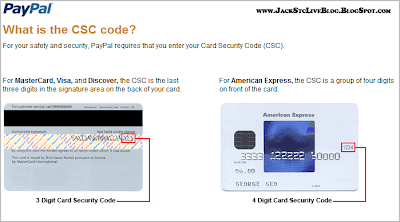 Also see the picture above if you don’t understand what is Card Security Code (CSC). 9. Click “Get Verified!” and fill in the form. Then click “Add Card” button. 10. Click “Enroll in Expanded Use” and click “Get Number” button to request your “Expanded Use Number“. Wait your Credit Card or Debit Card next Statement to get your “Expanded Use Number”. Don’t worry, Paypal will give you back $1.95 into your Paypal account. So how? What is Expanded Use Number? See next step. 11. After “Enroll in Expanded Use”, you will get your “Expanded Use Number” from your credit card or debit card for your next credit card statement for the $1.95 previously. When your next credit statement arrived, click “Complete Expanded Use Enrollment” and enter your 4 digit Expanded Use Number, then click “Submit” button. 12. And completely done. Now you have Paypal account Status: Verified. You can see your status at the page of your Account Overview. Note: Unverified PayPal accounts have a sending and receiving money limits. To check your limit, log in to your PayPal account and click the ‘View Limits’ link on the ‘My Account Overview’ page. To lift the limit, you need to Verify your account. Paypal account is FREE to register, Paypal only charges a person’s Paypal account receive money from another Paypal account fund by credit or debit card. No fees for sending and receiving money between two Paypal accounts. For fees apply to U.S. users, see here. For Canadian fees, see here. For European fees, see here. Other countries fee, see here. To send a payment, log in to your PayPal account, and go to the “Send Money” tab. 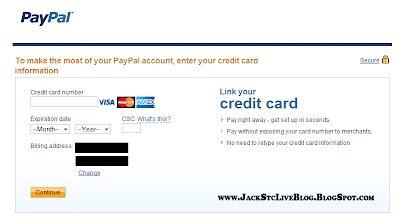 You can send money using a credit card, checking account or funds already in your PayPal Account. Payments can be made in US Dollars, Canadian Dollars, Australian Dollars, Euros, Pounds Sterling, Yen, New Zealand Dollars, Swiss Francs, Hong Kong Dollars, Singapore Dollars, Swedish Kronor, Danish Kroner, Polish Zloty, Norwegian Kroner, Hungarian Forint, Czech Koruna, Israeli Shekels and Mexican Pesos. Paypal will send recipients an email to let them know you’ve paid, so they can claim their money at PayPal. You can also use your PayPal account to accept payments in US Dollars, Canadian Dollars, Australian Dollars, Euros, Pounds Sterling, Yen, New Zealand Dollars, Swiss Francs, Hong Kong Dollars, Singapore Dollars, Swedish Kronor, Danish Kroner, Polish Zloty, Norwegian Kroner, Hungarian Forint, Czech Koruna, Israeli Shekels and Mexican Pesos. When someone sends you money with PayPal, the funds automatically appear in your PayPal balance. 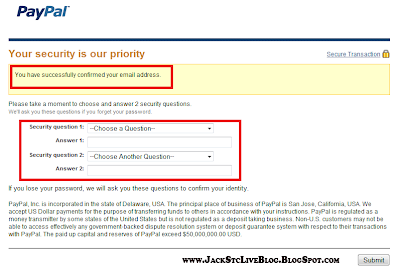 Keep the funds in your PayPal account, withdraw it to a checking account, or use it to make a purchase online. How to get my credit card for financial aids?